Nothing like the Superbowl to bring me out of blogging hybernation. We're not going to talk about the TV Spots, though. There were some good, bad and ugly spots, just like every year. 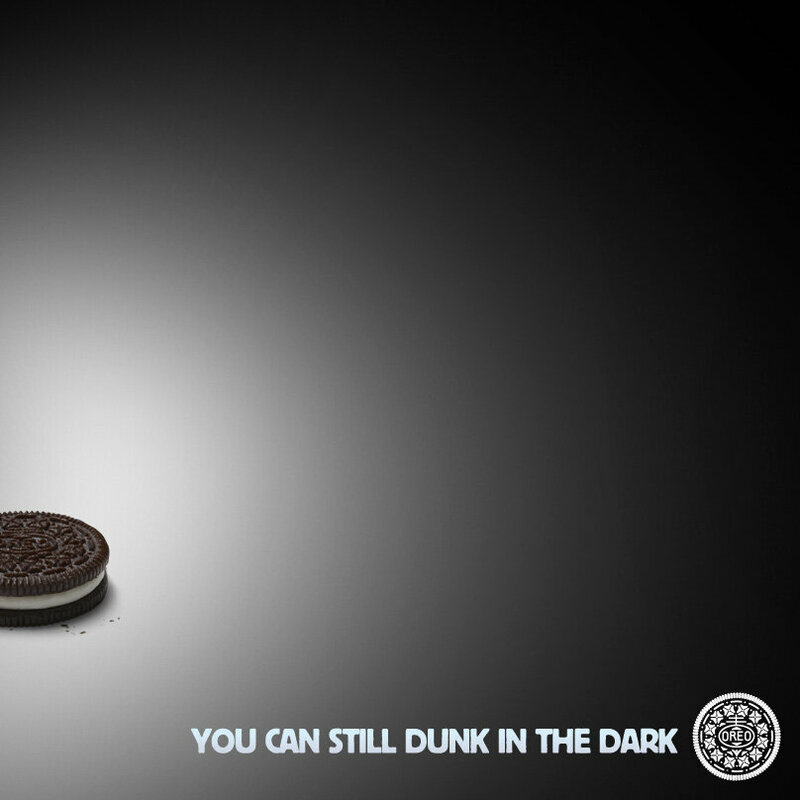 What we want to say is well done, Oreo. Within minutes of the arena blackout - they tweeted: "Power Out? No Problem" with the image below. As I sat and watched the arena madness, I thought "I wonder how many people just got fired?" Well, at the Oreo office, I hope one or two people got a raise. Social media should be up to the minute - take a lesson here and have your social media team at the ready to join any large conversations surrounding international events.